Hershey’s Chocolate World opened at New York-New York on Tuesday, June 3, 2014. The 13,000 square foot, two-story flagship store features an 11-foot, 800-pound replica of the Statue of Liberty that was hand carved from milk chocolates. There is also a replica of the Empire State Building, made out of 1,800 Hershey’s Milk Chocolate bars. Customers can mix and buy their favorite Hershey’s candies, customize their candy bar wraps, and purchase a large selection of accessories such as T-shirts, stuffed animals, mugs and key chains. On an unrelated note, one year ago, Edward Snowden revealed highly-classified National Security Agency (NSA) surveillance documents through Glenn Greenwald's report in the Guardian on June 5, 2013, sending a shockwave throughout the world. It is important for us to continue the debate so that the freedom and liberty can be preserved, and Lady Liberty wouldn't end up just being a prop. 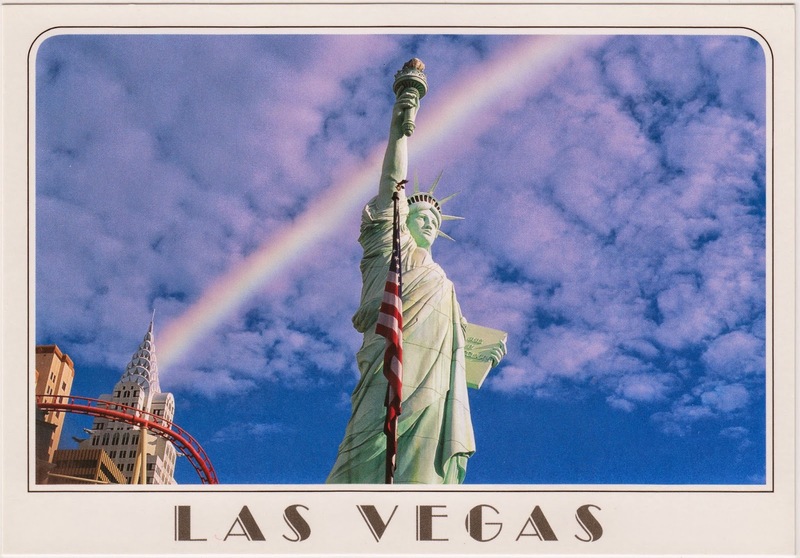 Postcard US-2236311 to Ukraine and US-2566020 to Italy shows a half-sized replica of the Statue of Liberty in front of New York-New York Casino and Hotel. In 2011, The U.S. 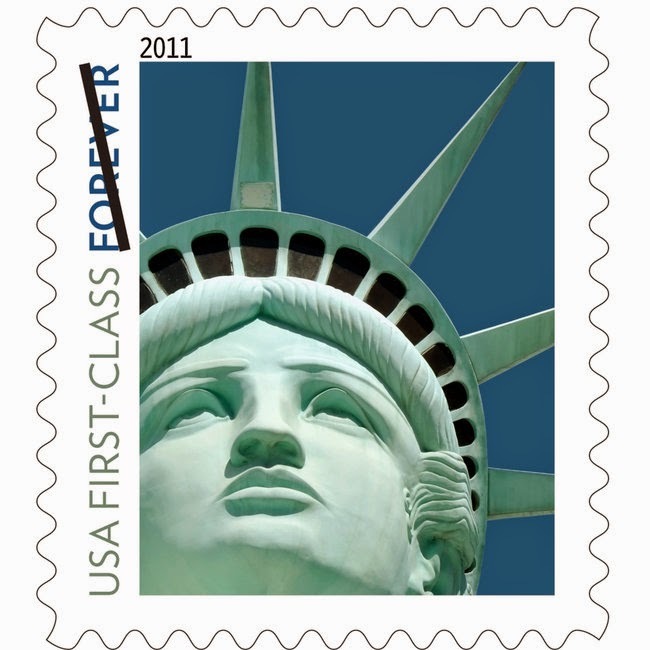 Postal Service issued a Statue of Liberty stamp, accidentally based on this replica in Las Vegas rather than the original in New York City.